Setting rates for voice over work has always been a headache. How much should you charge your clients for using your voice? How much should you charge your clients for your studio facility? How much should you charge your clients for your time spent converting the audio in the appropriate format? How much should you charge your clients as an overall project rate? We at Graffitti Studio have spent years of calculating and reached to an automated solution that forms our very competitive pricing with a click of a button. Still most talents and companies out there calculate their voice over rates manually and I hope these articles will help understanding the basic aspects that take part in the formation of voice over rates. 1. Media Exposure- how the content you voice will be used and exposed? Broadcast media is a type of media that is meant for a public broadcast and reaches a large audience through various media channels. Broadcast media is: TV programs, TV series, animation, TV and radio commercials, films, video games etc. What you need to know about setting your voice over talent fee and production rate when you voice a broadcast content is that your voice and your audio product are a subject to buyout compensation for a certain territory and a certain period of time. Usually, the buyout compensation for TV content is additional 30% to your voice over production rate (talent fee, studio recording, editing). - A % from the commercial spot voice over production fee for limited media channels, territories and a limited period of time. What is important to know is that if you are the voice talent and the voice over producer at the same time, you should charge for buyout compensation both as a talent and as a producer. Artists and producers’ rights are stated in your local copyright legislation and you need to be familiar with it when you sell your services both as a talent and a producer. If you are not a union member, you might consider becoming one. Unions usually set minimum fees for broadcast buyouts and copyrights which will help you with setting up your buyout fees. They can also collect the buyouts for you and provide protection and legal help if your talent or producer’s rights have been violated. Charging clients for a broadcast content usage is your legal artist and producer’s right which serious clients are familiar with and treat with respect. 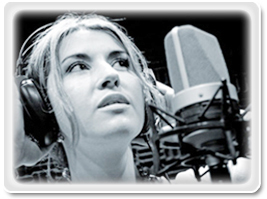 It also legitimates you as a voice over professional and makes you stand out of the crowd. This entry was posted in Voice over rates and tagged voice over actor rates, voice over production rates, voice over rates, voice over recording rates, voice over studio rates, voice over talent rates. Bookmark the permalink. Thanks for posting this article. I find that no matter how many times I’ve done a voice over quote, it stills flumoxes me at times! Just when you think you’ve figured out every possible pricing option for every possible job, someone comes along with some weird, random voice over enquiry!! Would you happen to have an excel sheet or some kind of site script that a vo artist can enter the information in… by maybe tick boxes and drop down menus that can output an estimated calculation that contains broadcast content buyouts and what not. I’d be using that tool constantly! Such an excel sheet would be too custom for each market, talent, studio or agency. There are basic points to have in mind though when you form your voice over rates. Knowing all the basic aspects, you can evaluate them for yourself and come up with an excel sheet for your case. I’m sure I speak for many VO people when I say this article is a breath of fresh air! Very enlightening. Can’t wait to read more. Thanks so much! I’ll be interested to follow this discussion.